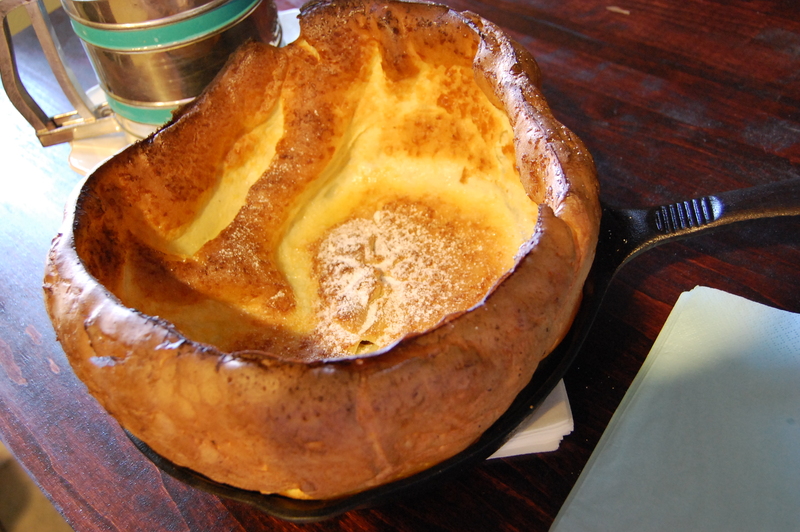 Some call it Poffertje, some call it a Bismark, a German Pancake, or a Dutch Puff; but I think of it as a Breakfast Popover. 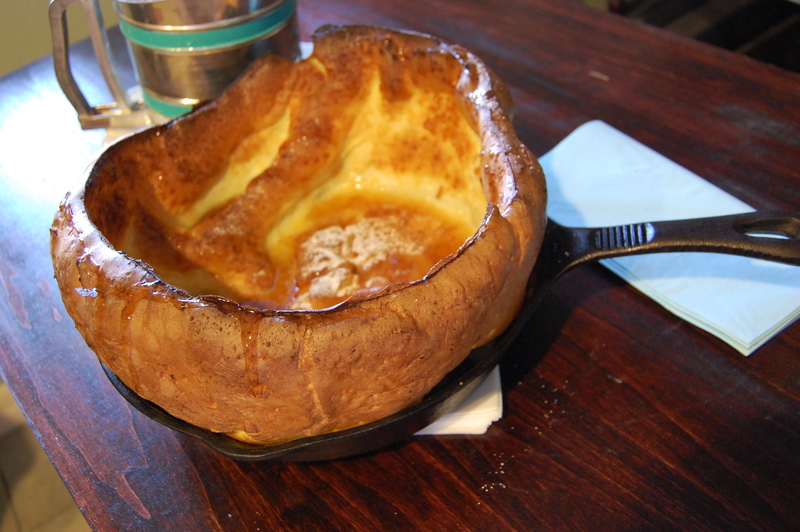 I have had a long time affection for popovers, and am happy to have found a way to work them into the breakfast meal period. The best part is no matter how bare the shelves in the refrigerator are, I almost always have what I need to make this special breakfast treasure. 1. Preheat oven to 450 degrees F. Arrange the racks in the oven to leave the middle rack available and put in a 10 inch skillet (or oven proof skillet) to heat. While pan is heating, mix the batter. 2. In a large mixing bowl, whip the eggs until light and airy; add milk, flour and vanilla extract; whip for 5 minutes until smooth and creamy. 3. Remove pan from oven and drop in butter, swirling the pan until the butter is melted. 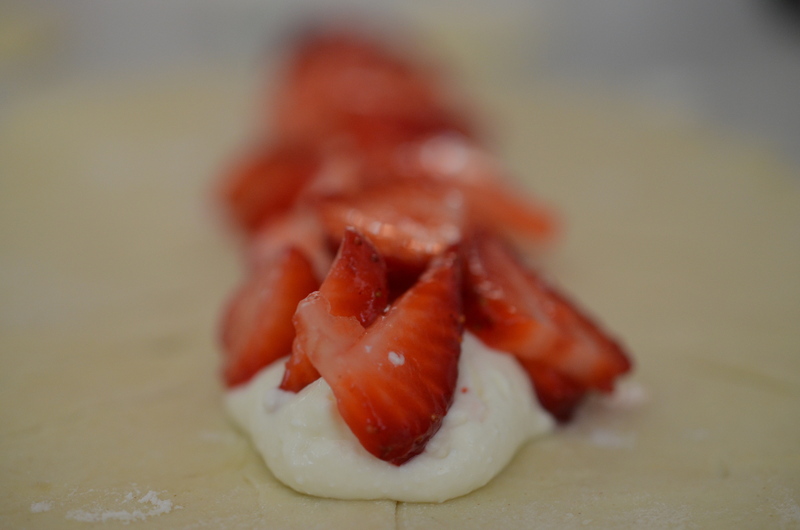 Immediately pour in batter and place back into the oven. 4. Bake from 20 to 25 minutes until puffed and golden in color. Remove from oven and drizzle maple syrup over the puff, shake confectioner sugar to finish. Serve immediately. You can switch around the flavors- add chocolate drizzle, fresh berries, warm pie filling or the tradtional squeeze of lemon and powder sugar! 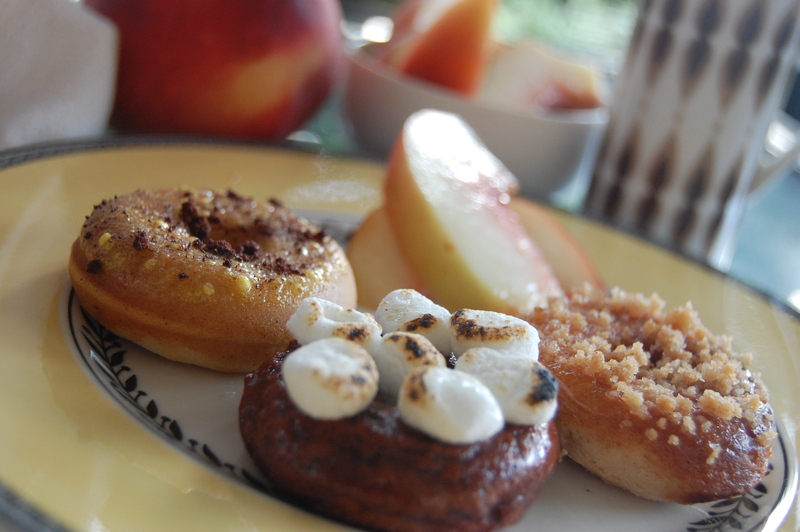 Artisan Mini Donuts and a Tea Party! Today I felt like I stepped back in time to my childhood bedroom. There is a small table set up with miniature china plates, teacups and saucers and a lovely host is asking how many lumps everyone will take. The chairs are filled with dolls and stuffed animals with one petite chair waiting for me to sit…… Are they familiar memories? Do you ever look back at moments like those? There are a few loves that a girl takes with her from childhood to adulthood. No matter how old or how busy life gets, girls just can’t resist “cute”; we adore things like scissors and construction paper, and there are never too many sprinkles, never. I suppose this lends a hand in our obsession of cupcakes, the adorable cookies, donuts and popsicle that are so popular right now. I’ve seen Donut Makers in the stores lately and was recently inspired to make artisan donuts myself. They are just so darn cute, I could not resist. Cute Tea Party would meet sophisticated, grown up treat, that was the goal. I made 3 flavors; the machine is great- so easy to use. They really did not take much time at all, and would be perfect to take to a tea party or more likely in my world, an early tailgate…. Can these get cuter? Little girls are screaming in delight over these! Combine all dry ingredients and stir well. Add remaining ingredients and beat until batter is mixed well. Follow directions of donut maker. Allow donuts to cool. Combine glaze ingredients in microwave proof bowl, stir well. Heat in microwave for 15 seconds and stir. Dip donuts into glaze and allow excess to drip off. Garnish before glaze sets. 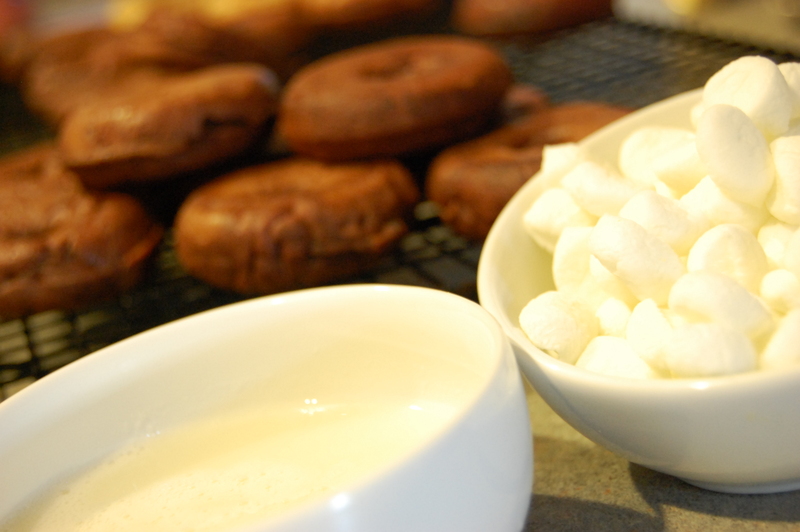 Creme Glaze and Marshmallow Halves, ready for toasting! Combine all dry ingredients and stir well. Add remaining ingredients and beat until batter is mixed well. Follow directions of donut maker. Allow donuts to cool. Combine glaze ingredients in microwave proof bowl, stir well. Heat in microwave for 15 seconds and stir. 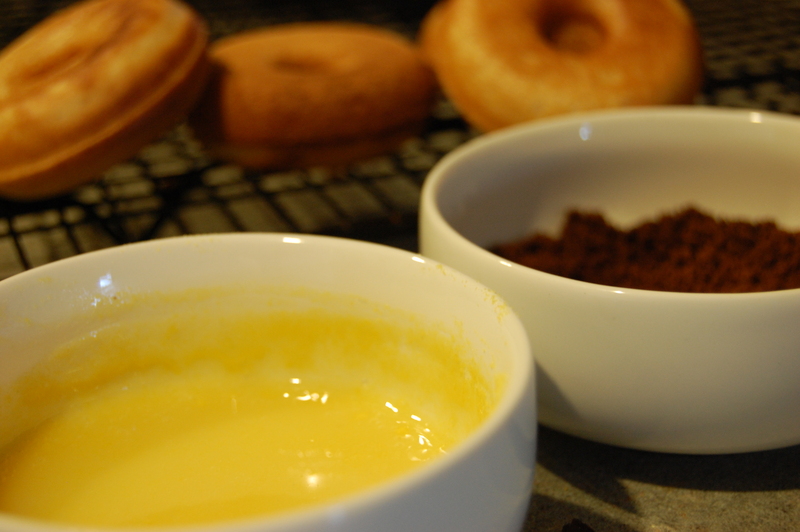 Dip donuts into glaze and allow excess to drip off. 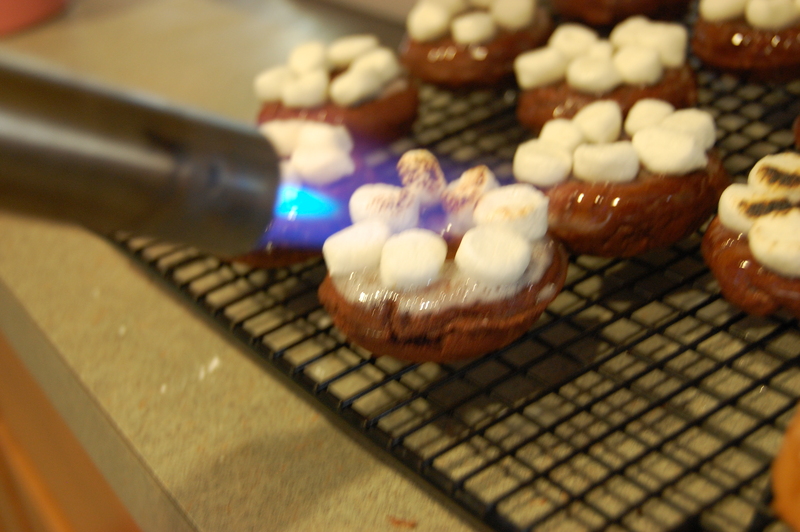 Garnish with the mini marshmallows before glaze sets. With a creme brulee torch carefully toast the marshmallows (if you don’t have a torch, no worries, they still taste great). Torching marshmallows. If you don't have a torch, put it on your christmas list. 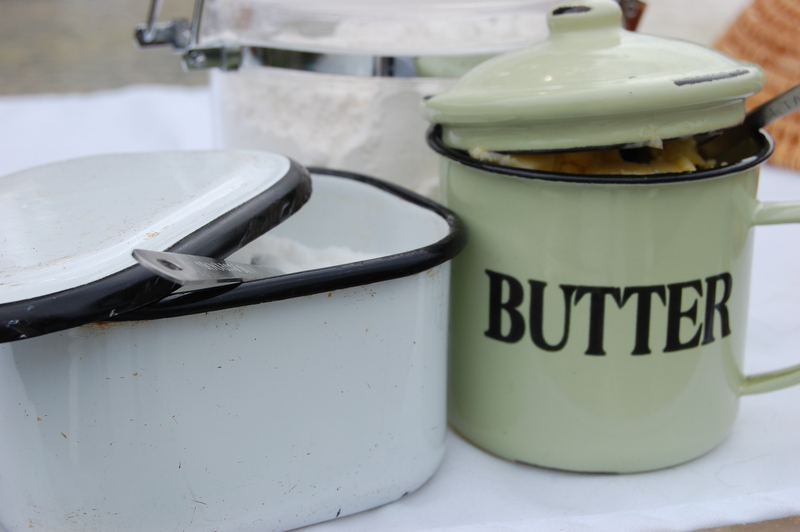 It is use full for so many things, meringues, melting cheese, blistering tomatoes and a ton more. 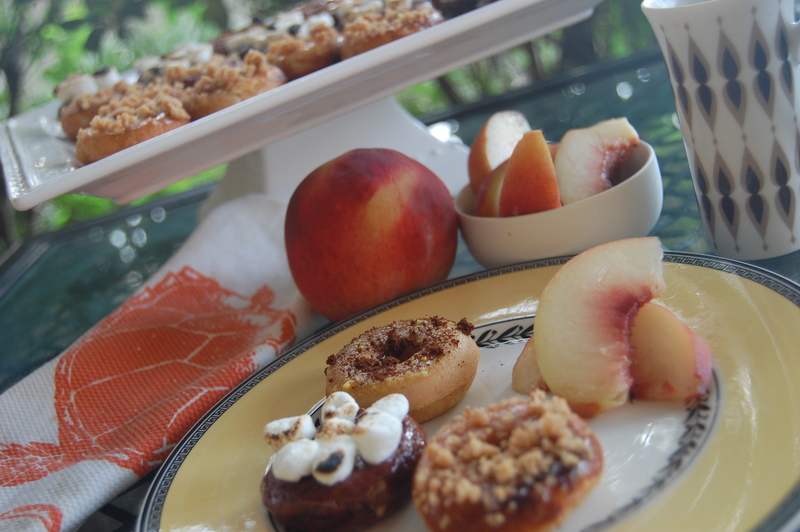 The last donuts are Peach Cobbler, feel free to substitute the preserves with what is in season, or what you have in the pantry! Creme Glaze and Cobbler Crumbles. Save any left over crumbles for muffins, pies, greek yogurt or even ice cream topping. To make the Cobbler Crumbs, preheat oven to 350. Blend all ingredients with fork until crumbles. 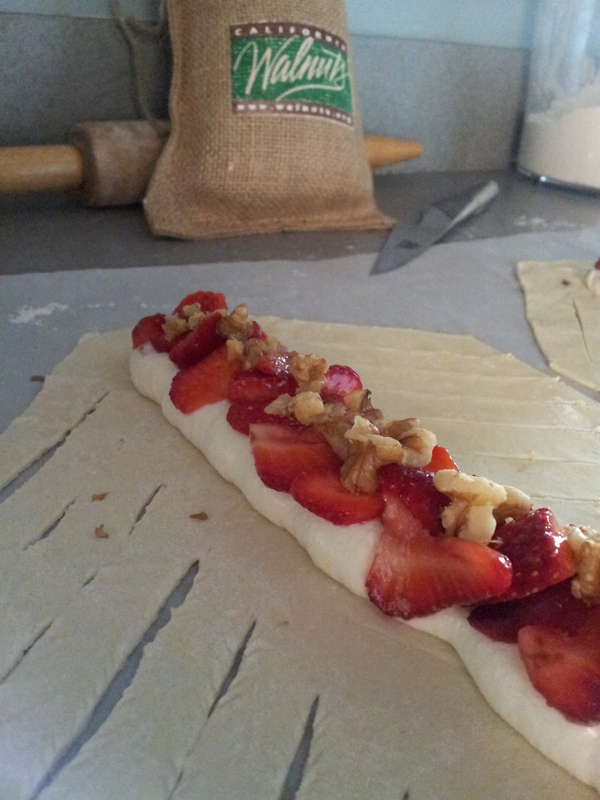 Spread evenly onto parchment lined baking sheet and cook for 5 minutes. Allow to cool and break into crumble topping. 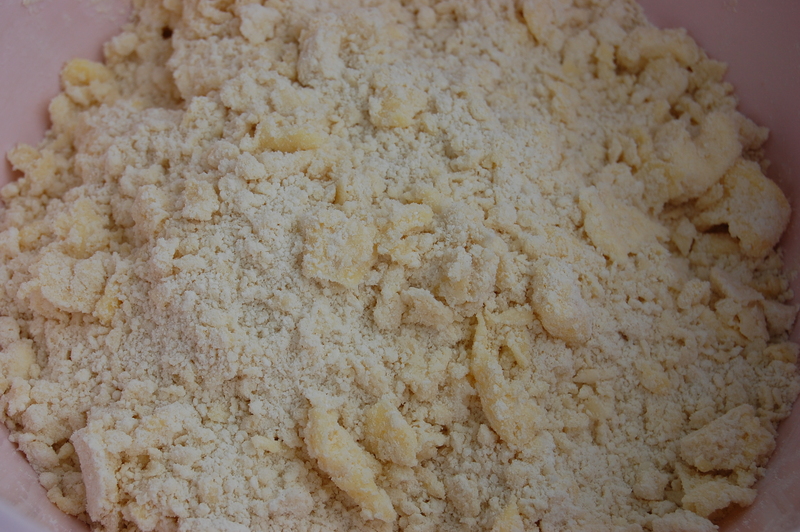 While the crumble is baking combine all batter dry ingredients and stir well. Add remaining ingredients and beat until batter is mixed well. Follow directions of donut maker. Allow donuts to cool. Combine glaze ingredients in microwave proof bowl, stir well. Heat in microwave for 15 seconds and stir. Dip donuts into glaze and allow excess to drip off. Garnish before glaze sets. Lesson learned, you are never to old to have a tea party. 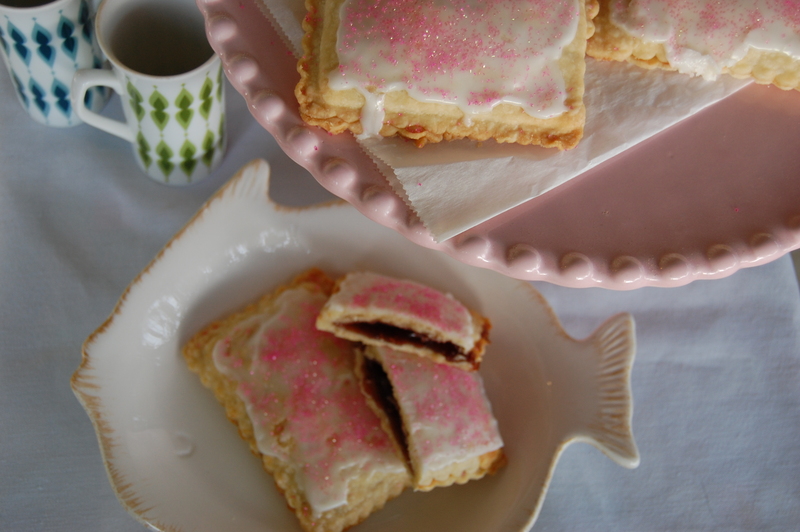 Raspberry Lemon “Pop Tarts”….From Scratch!!!!!!!! WHAT??????? Homemade Pop Tarts? Awesome… That was our reaction when we passed by the bin that housed these nifty cutters at William Sonoma this summer. We spent the rest of the evening deliberating which flavor we loved best, and what flavors would be fun to try. 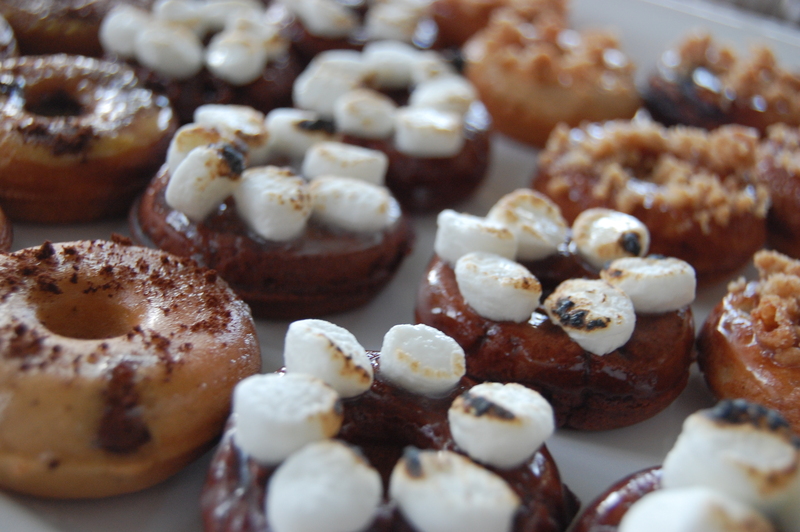 The good old brown sugar was a contender for sure, and smores too. Sir Wes wants to see a savory play on Quiche and he tells me, “please add bacon”! 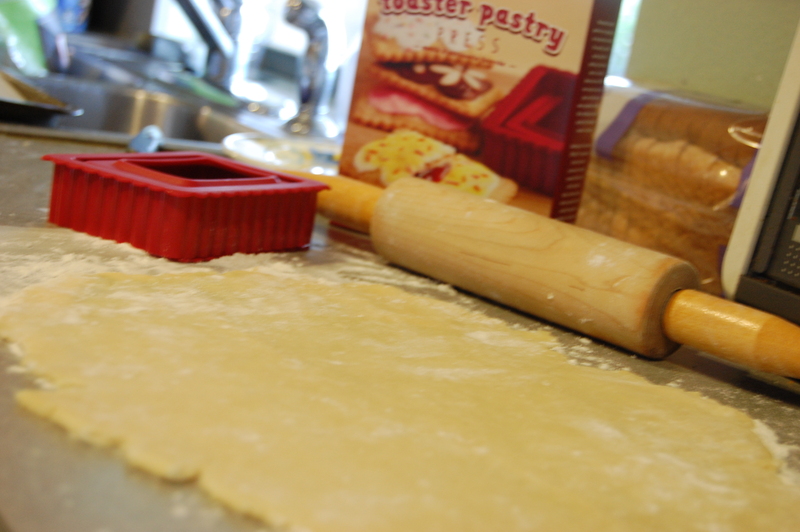 This pastry cutter is a childhood throwback for sure, but how can you go wrong with a “Poptart”? 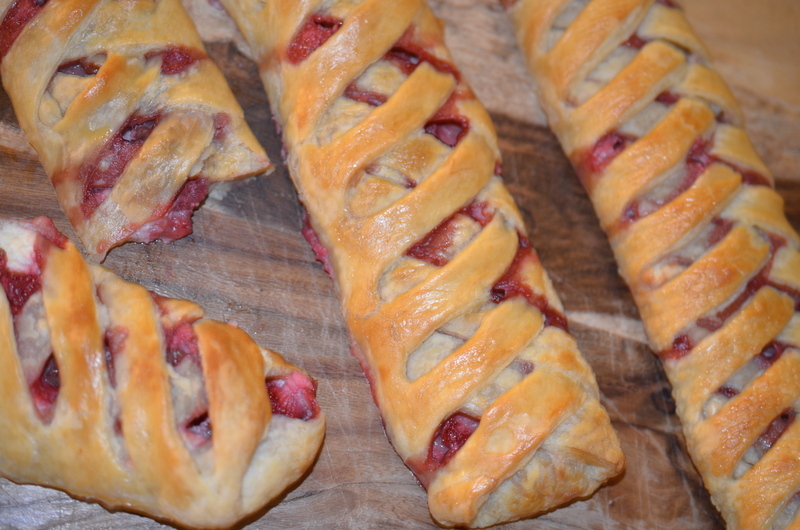 While I have plenty of pie crust and pastry dough recipes, I like to consider the recipe given with the product. With the logic that the company is the expert of their product, one would assume, the recipe they provide is a good one. I adapt the method to suit my kitchen equipment and the flavors to fit my preferences. 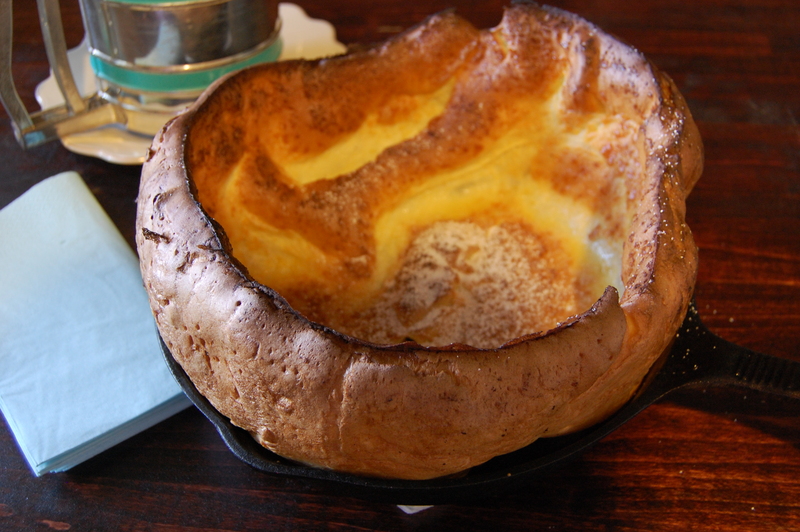 The following recipe was adapted from William Sonoma. The dough mis en place! The butter is icy cold! 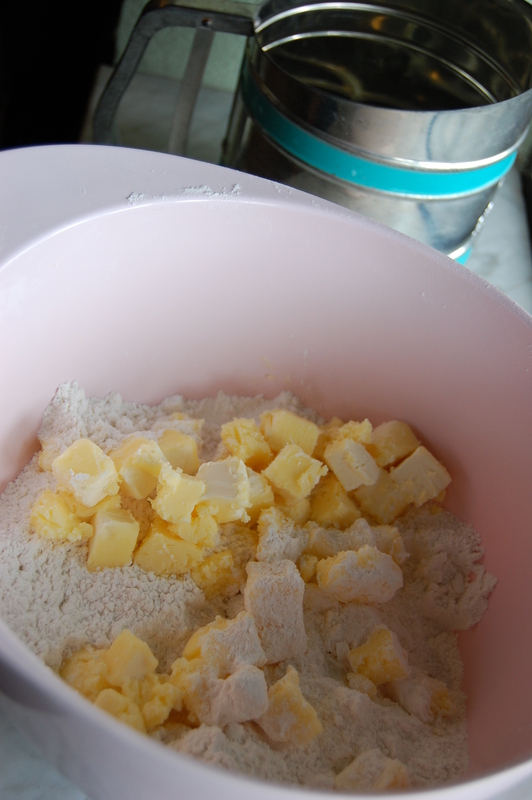 In a mixing bowl, stir together the flour, salt and granulated sugar until combined. 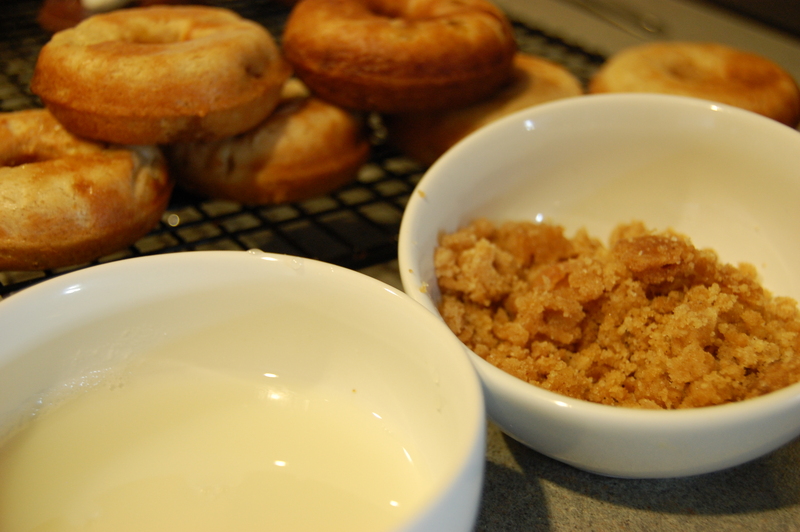 Add the butter and crumble with hands until the mixture resembles coarse meal. Add 6 Tbs. of the ice water and mix again with hands. 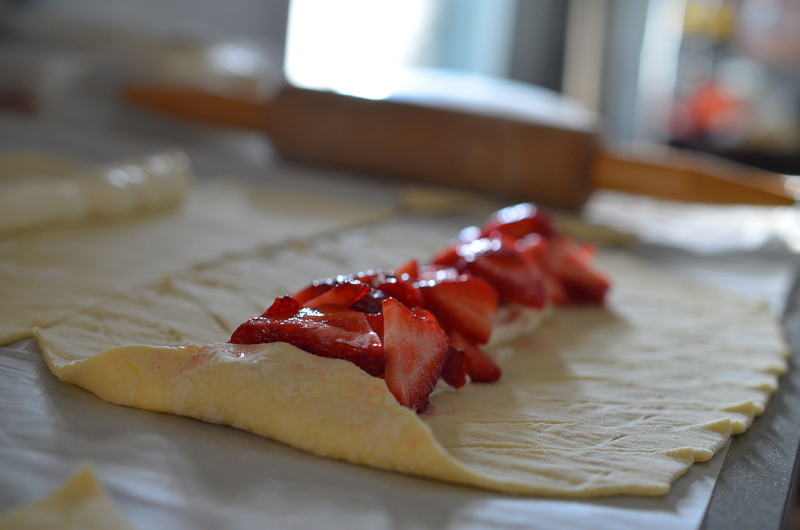 The dough should hold together when squeezed with your fingers but should not be sticky. If it is crumbly, add more water 1 tsp. at a time, mixing after each addition. 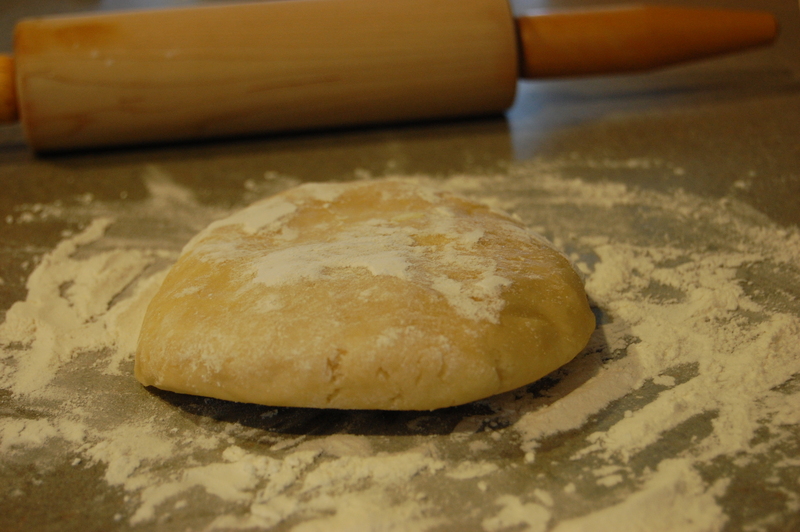 Turn the dough out onto a work surface, divide in half and shape each half into a disk. Wrap the disks separately in plastic wrap and refrigerate for at least 2 hours or up to overnight. 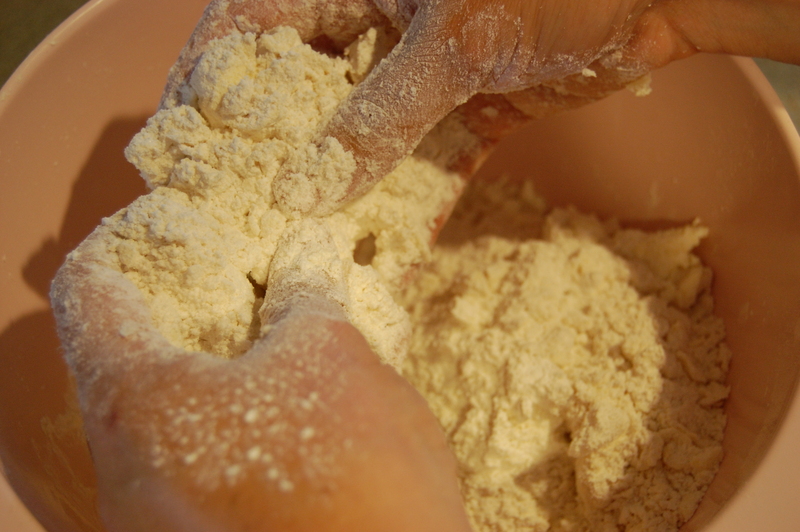 Hand mixing is a great way to learn about dough consistency! 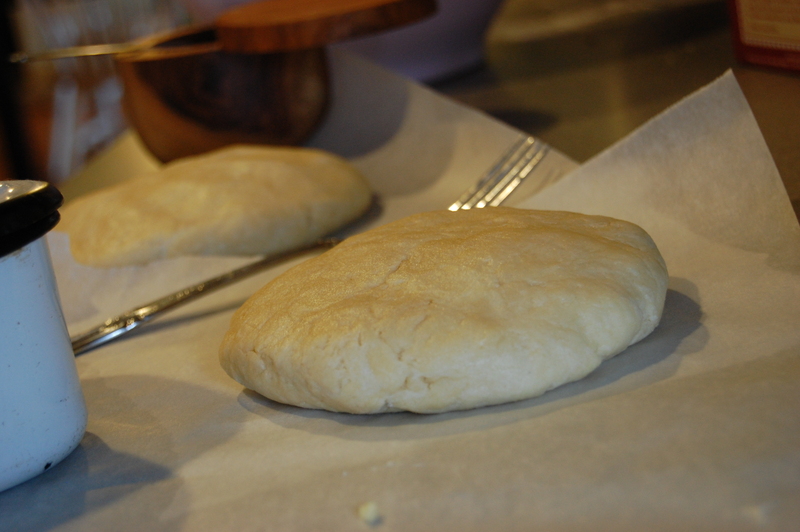 Dough discs, ready for refrigeration. Line 2 baking sheets with parchment paper. 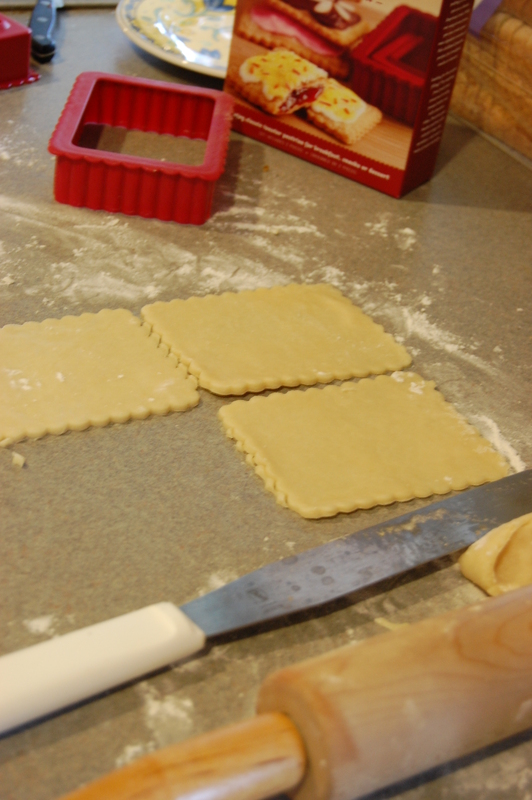 On a lightly floured work surface, roll out 1 dough disc into a rectangle 1/8 inch thick. 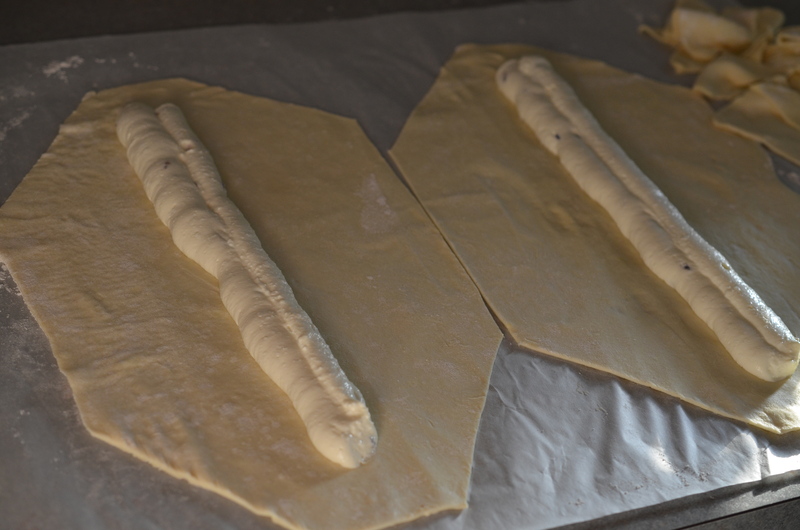 Using the outer ring of a toaster pastry press, cut out 8 pastries, rerolling the scraps as needed. Using a small offset spatula or a butter knife, spread 1 Tbs. 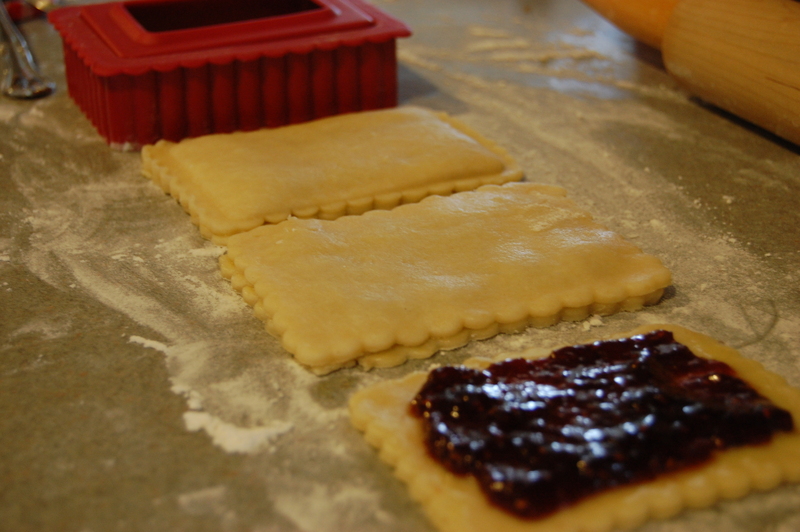 of the jam onto each of 4 pieces of dough, leaving a 1/2-inch border. Brush the edges with the beaten egg mixture. 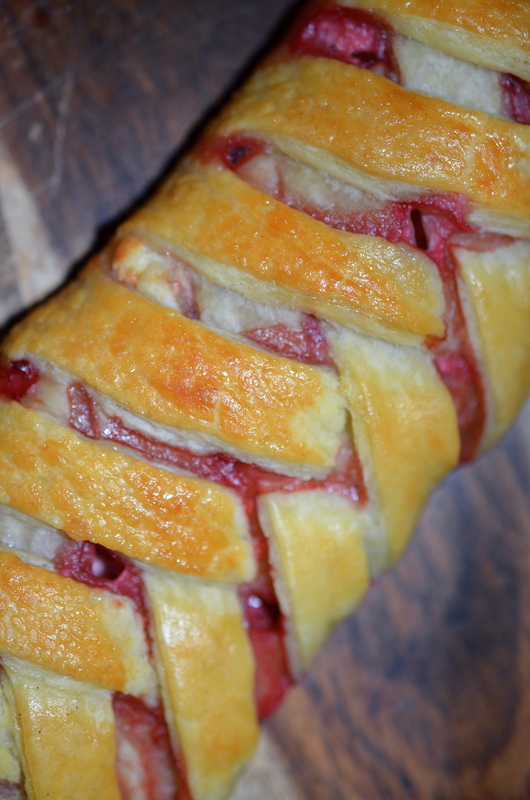 Top each with a plain piece of dough. Place the 2-piece press on top and press the inner ring down to seal the edges. Remove the mold. 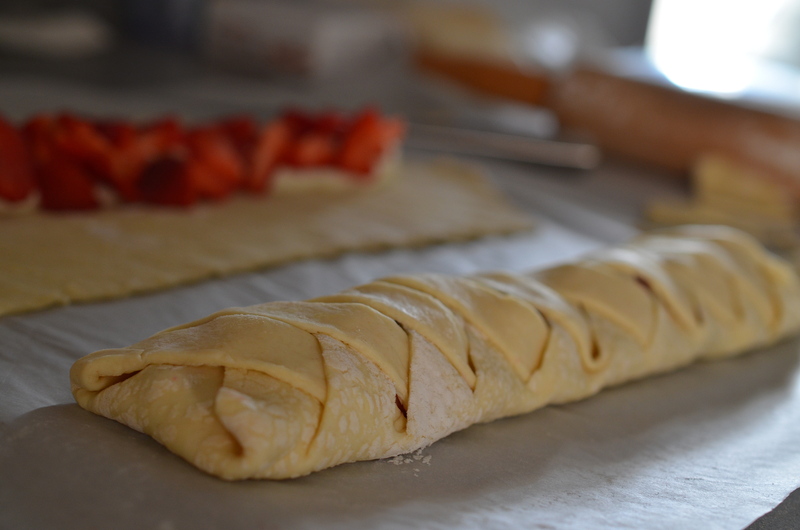 Transfer the pastries to a prepared baking sheet and refrigerate for 30 minutes. Repeat with the remaining dough disc. Flour coats the dough, the surface and the rolling-pin! 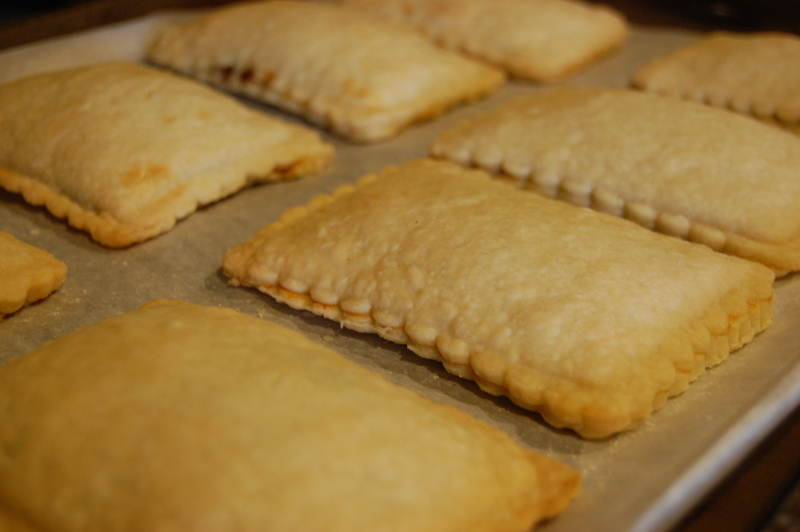 Bake the toaster pastries until golden, about 30 minutes, reversing the positions of the baking sheets on the racks and rotating them from front to back halfway through the baking time. Let the pastries cool on the baking sheets for 10 minutes, then transfer the pastries to wire racks and let cool completely. Golden brown, fresh out of the oven! In a bowl, stir together the confectioners’ sugar and lemon juice until well combined. 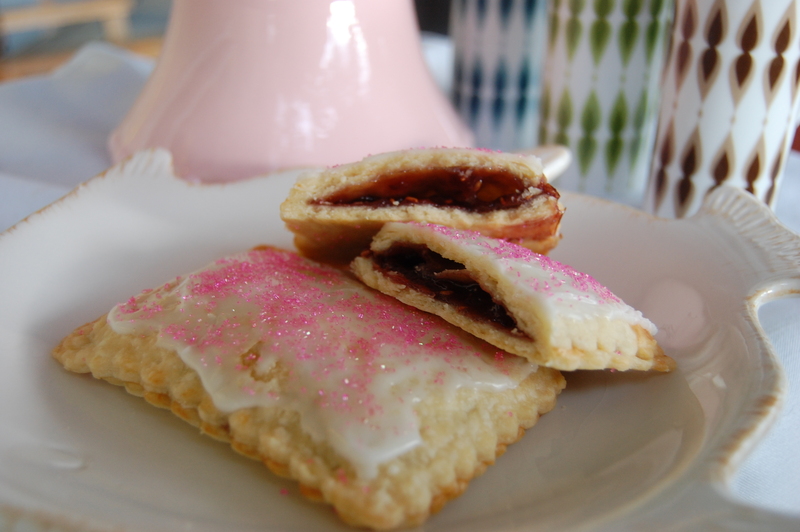 Using a spoon, lightly drizzle the icing onto the toaster pastries and shake sprinkles over top. Let the icing harden completely before serving. Makes 8 toaster pastries. I think these turned out perfectly, the dough was perfect. I put them in the toaster oven the next morning to warm to serve. I see many warm “Pop Tarts” in our future! 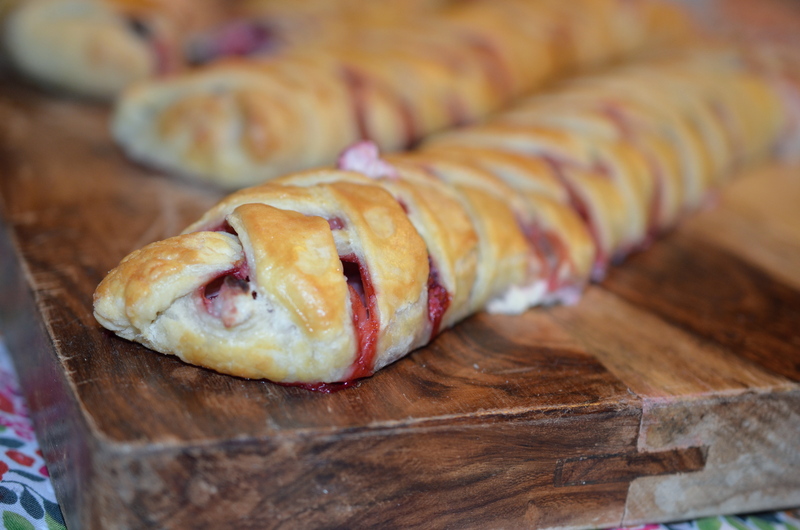 Chocolate Hazelnut, Heirloom Apples, Pumpkin Latte, ….plenty of options!